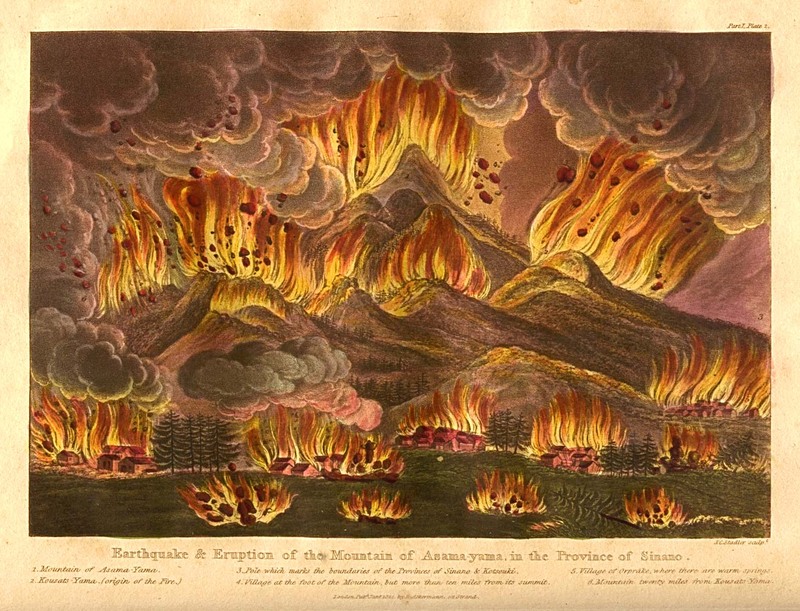 The Perry-Castañeda Library Map Collection at the University of Texas has an extensive collection of digitized maps of the world, continents, nations, major cities, and US states (with a sub-collection of Texas maps), ranging from contemporary to historical, thematic to topographic. 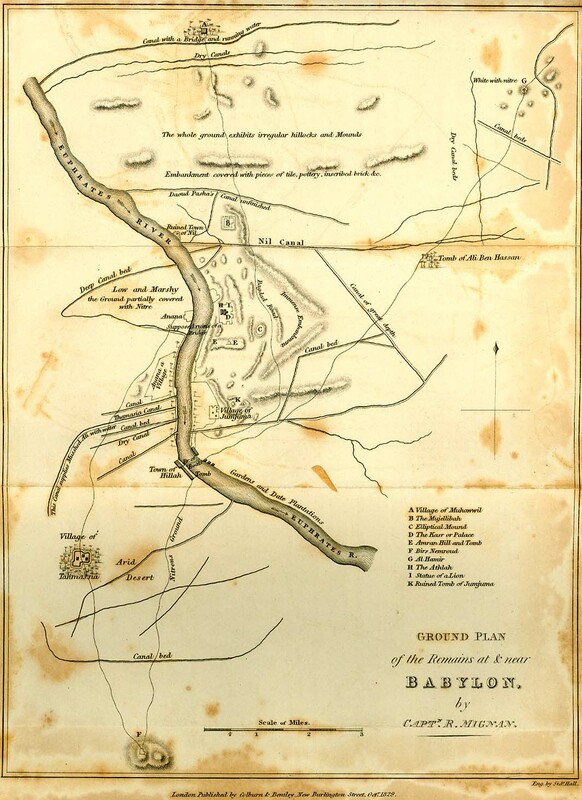 Most of the maps scanned by the University of Texas Libraries and served from this web site are in the public domain. No permissions are needed to copy them. You may download them and use them as you wish. We appreciate credit to “University of Texas Libraries” as the source of the scanned images. Please Note: Maps on other web sites which we link to are subject to the copyright restrictions of those sites. Please contact them for their copyright information. If you are uncertain whether a particular map is on our site or another site look at the url. If, when viewing the map, it begins with “www.lib.utexas.edu” then it is on our server. 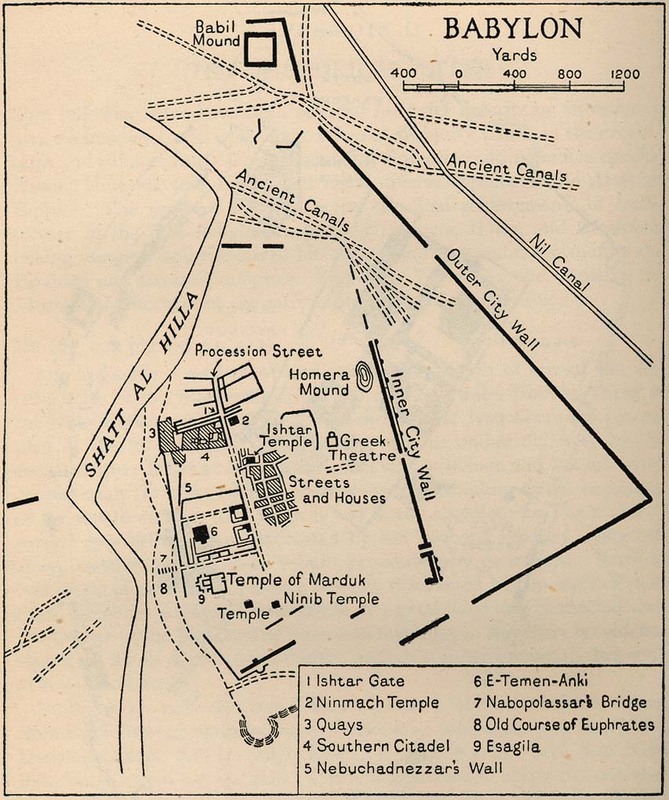 For today’s post, I’ve selected some of the more unusual maps. Use the titles to find the image pages for downloading or zooming in on details. 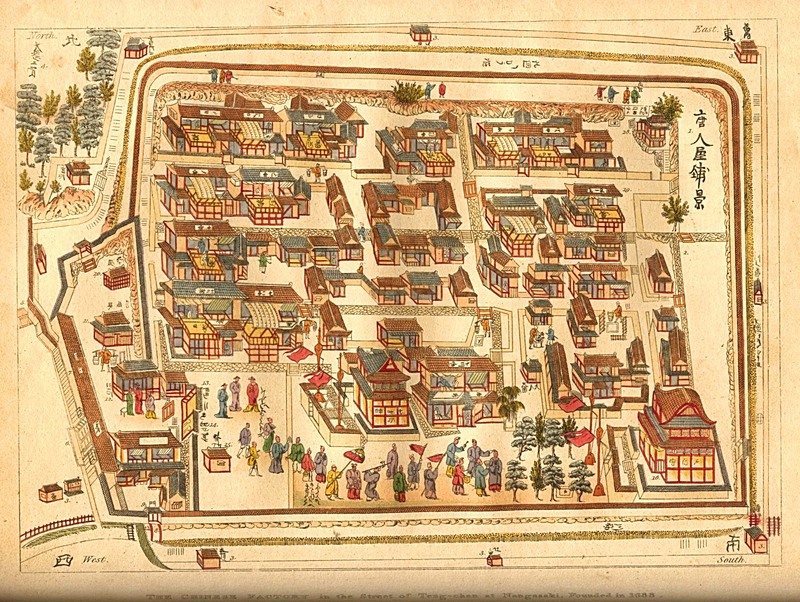 The first two are from “Illustrations of Japan consisting of private memoirs and anecdotes of the reigning dynasty of the Djogouns, or sovereigns of Japan…” by Isaac Titsingh, London: R. Ackermann, 1822, and are in the Asia Historical Maps category. 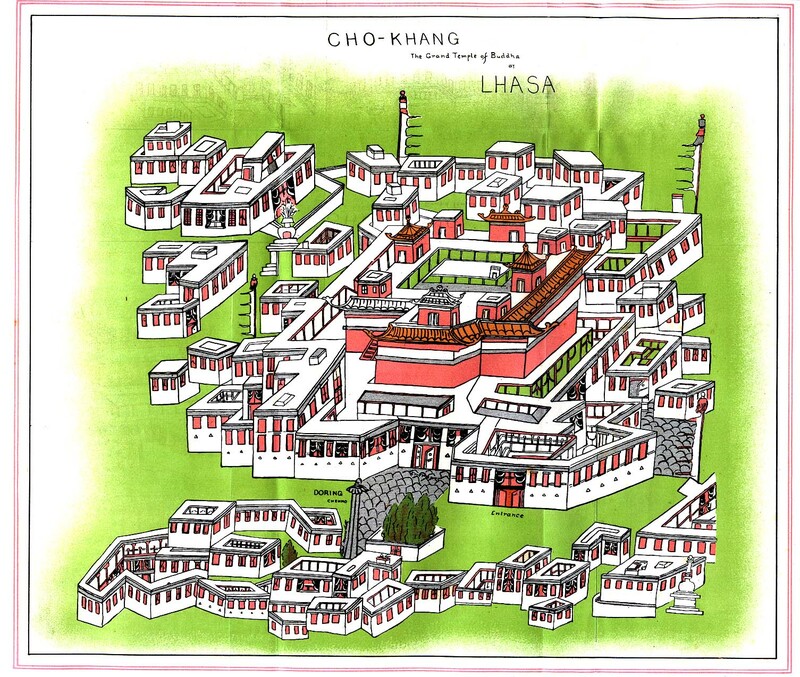 Also in Asia Historical Maps is this one from “Cho-Khang, The Grand Temple of Buddha at Lhasa” from Journey to Lhasa and Central Tibet by Sarat Chandra Das, 1902. 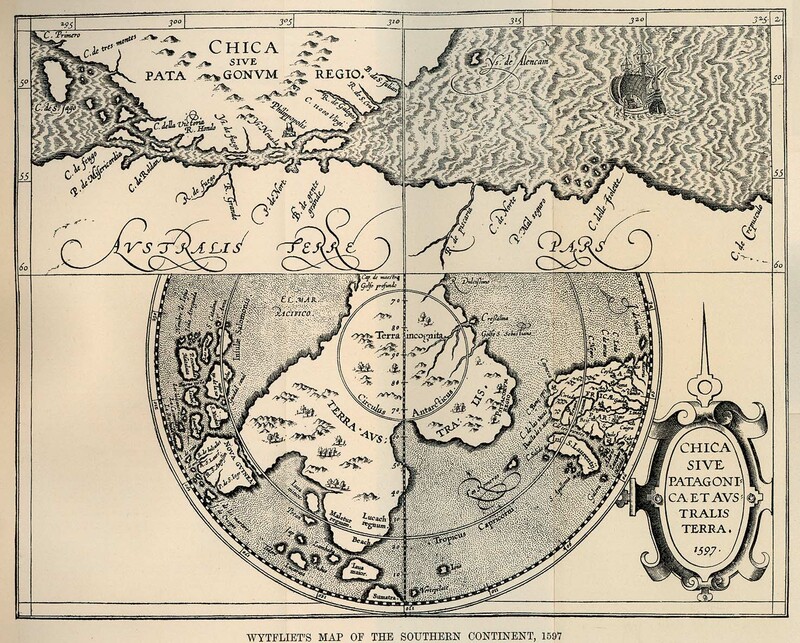 Any map that mentions Terra incognita gets my attention, and there are several that do in the section Historical Maps of Polar Regions and Oceans, among them, Wytfliet’s Map of the Southern Continent, 1597. 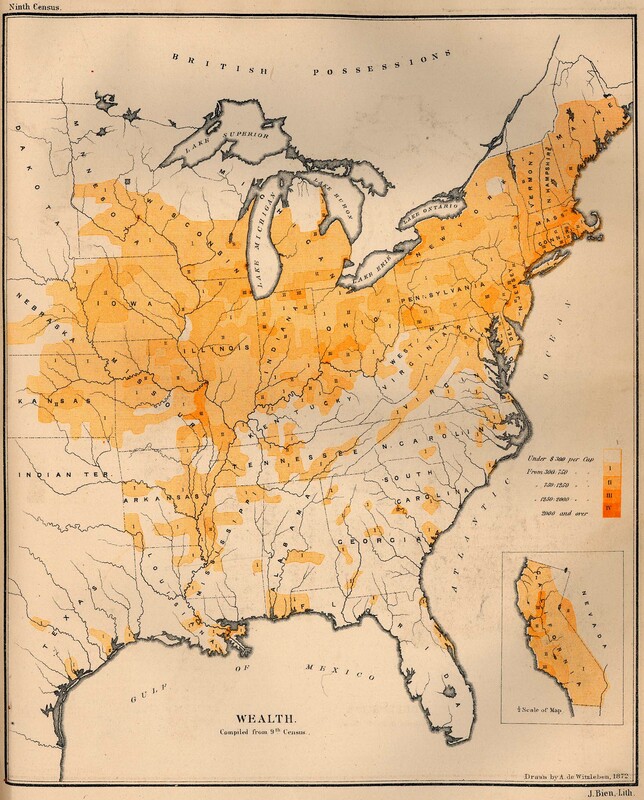 The next one is from Historical Maps of the United States. I wonder how a map of the distribution of wealth based on 2010 census data would compare. 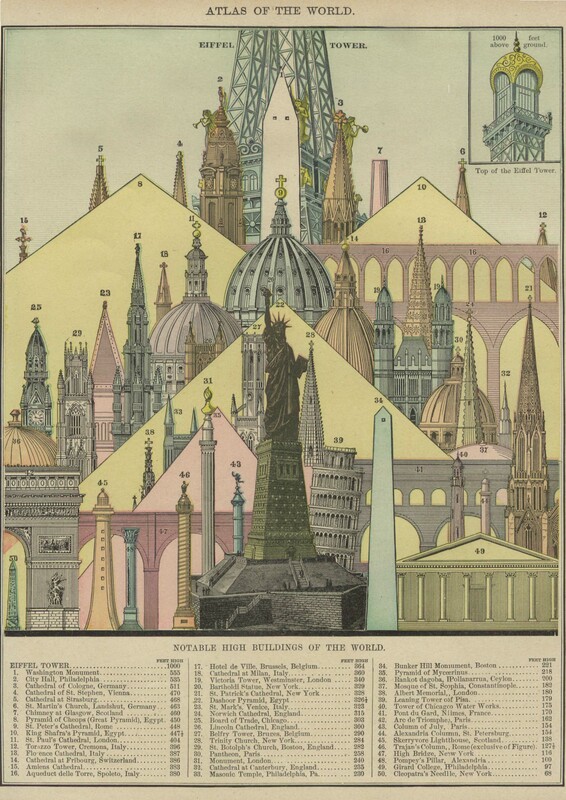 Finally, The Notable High Buildings of the World 1896, in the category Historical World Maps featured in Rand, McNally & Co.’s Universal Atlas of The World. Edition 1896. This copyright notice does not pertain to information at Web sites other than the Central Intelligence Agency Web site. Regional maps, for example of the Arctic [Arctic pdf], are available as jpegs and pdfs. What I can show you here are the jpegs, but I’m also giving you the pdf links. The pdfs are, as you’d expect, much crisper. Once you choose a country from the drop-down menu, you’ll discover a useful feature. The relative location of nations and territories on their continent is provided as a secondary map. In other words, let’s say you need a map of Andorra. While the country map gives you some notion of where the nation is since you can see that it borders Spain and France, the secondary map gives a better idea of where the Spanish-French border is interrupted by this small country, its area just 2.5 times the size of Washington DC. For each nation, the maps are accompanied by a drop-down menu for 9 items ranging from a general introduction to descriptions of its people, government, geography, economy, military, communications, transportation, and transnational issues. By the way, at seven-tenths the size of Washington DC’s Mall [or .44 sq km] the world’s smallest sovereign state (and third smallest in population) recognized in the CIA World Factbook is the Holy See (Vatican City). You would need to know what area of the world the Gaza Strip is in for the map above to make much sense, but compare it to the regional map in the first part of the post, and you’ll see that the white area here represent water. Territories are also mapped. Here are South Georgia and South Sandwich Islands, UK territories, also claimed by Argentina. Location of South Georgia and Sandwich Islands relative to South America. in 2002, Gibraltar residents voted overwhelmingly by referendum to reject any “shared sovereignty” arrangement between the UK and Spain;… Spain disapproves of UK plans to grant Gibraltar greater autonomy; Mauritius and Seychelles claim the Chagos Archipelago (British Indian Ocean Territory), and its former inhabitants since their eviction in 1965;…in May 2006, the High Court of London reversed the UK Government’s 2004 orders of council that banned habitation on the islands; UK rejects sovereignty talks requested by Argentina, which still claims the Falkland Islands (Islas Malvinas) and South Georgia and the South Sandwich Islands;… Iceland, the UK, and Ireland dispute Denmark’s claim that the Faroe Islands’ continental shelf extends beyond 200 nm. Anguilla, Bermuda, British Indian Ocean Territory, British Virgin Islands, Cayman Islands, Falkland Islands, Gibraltar, Montserrat, Pitcairn Islands, Saint Helena, South Georgia and the South Sandwich Islands, Turks and Caicos Islands. Not far away are the Federated States of Micronesi, Palau, and the Marshall Islands. And what about Baker Island, Howland Island, Jarvis Island, Johnston Atoll, Kingman Reef, Midway Islands, and Palmyra Atoll?